If you own and maintain an older car (especially 15 years and older) you must be willing to take care of its lubrication needs or you may spend big money later in repairs. We all know how important it is to change the oil in an engine on a regular basis, but what about sunroofs, window regulators, hinges, latches, antennas, brakes, seat tracks, linkages, electrical contacts, etc. There are a great number of new and improved lubricants on the market today. Do you have cans and tubes all over your garage? Have you paid for large containers of one lube that you may never use it all in your lifetime? 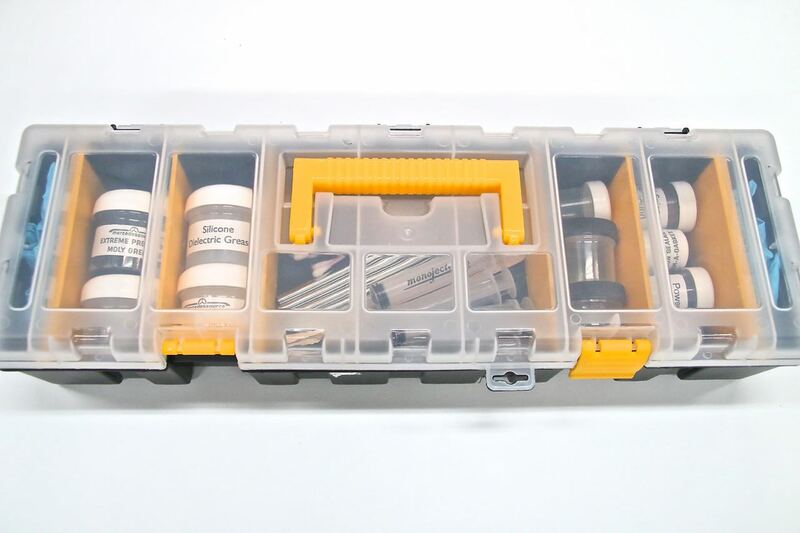 Do you wish you had all the lubricants and applicators in one convenient grab-n-go case? Partially full containers are half to three quarters full. Just want you to know you will not receive them "full to the brim." Most of the lubricants and sealers in the 1/2 containers are ones that require only a small amount during application and will still last a long time for the average home mechanic. The lube in this kit will help you effectively lubricate the hood hinges, rear view mirror, door latches, throttle linkage, window regulators, trunk mechanism, door check straps, seat tracks, rubber parts, plastic parts, plus many more! This "permanent" red threadlocker is probably the best that I have used. It has the best sealing cap and cures rapidly and reliably when confined between metal parts. 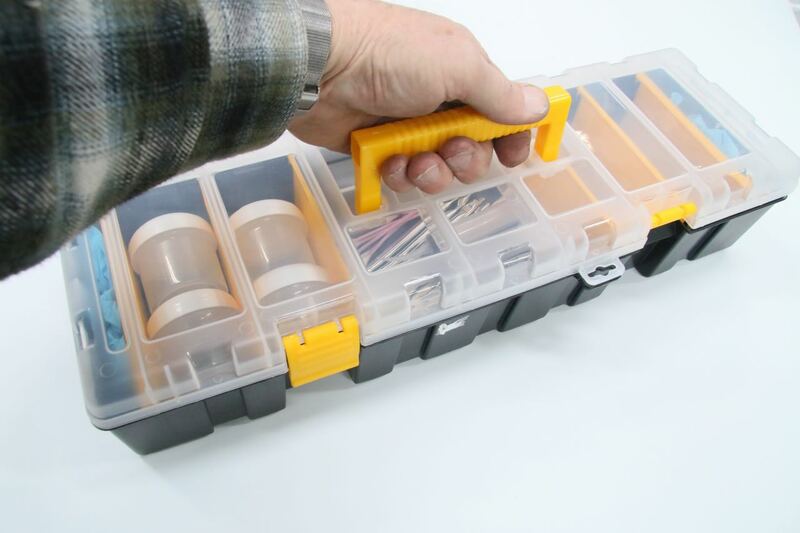 Use it to lock threaded fasteners, nuts, bolts and screws from loosening. This removable threadlocker is probably the best that I have used. It has the best sealing cap and cures rapidly and reliably when confined between metal parts. Use it to lock threaded fasteners, nuts, bolts and screws from loosening. Extremely important in critical engine and suspension parts. Do you have a manual or power sunroof that is working poorly or maybe not at all? Does it move slowly in the morning, but when it heats up during the day it works just fine? Do you have to assist it by hand to get it fully opened or closed?